I’ve done a lot of thinking these days, and a lot of reading which is great, because it makes you forget for just a moment and that real helps. It’s different when you are on the other side and wondering what it must be like? I use this form as therapy and that my subconsciousness will heal me from the inside out and fix the broken cells caused by neurological conditions and disorders, better know as ALS (amyotrophic lateral sclerosis). I believe there are better days to come and God will provide the direction I must follow, its been the toughest one year of my life. But the true is I feel amazing and healthier than I ever been. This gluten-free diet is wonderful and including no red meat. Even though this illness takes or depletes my energy due to the fasciculations causing a flicker of movement under the skin. The spontaneous effect of small muscle fibers continuously twitching throughout my body which never turns off. This disorder is what drains me the most. I tell my wife when I’m going to bed the party starts inside and which I have no invention too. It’s been going on for over a year, don’t think I got use to it because I’ve not, I just close my eyes and say my prayers and give thanks for today. Thinking is the best kind of medicine for your body and subconsciousness, I’d call it meditating within our nervous system and healing those affected areas. Calling out your subconsciousness and focusing on creating the desired leg strength or any parts which would help you overcome your weakness or illness. I’ve started this meditation process and I’m looking for those positive results. I’m very fortunate because my backyard is very quiet and I don’t have backyard neighbor and the hillside give me peace and harmony. The perfect place for meditation, and seeking enlightenment within my spirit. Now if you don’t have a quiet backyard find a room inside your house or basement and meditate there any place works, so as you’re not disturbed. Start with 30 minutes a day and as often as you can. There are those days when things just feel better and those are the days I try to emulate and not changing anything. Eating the same foods or protein shakes whichever makes the difference. Whatever works for you, positive thoughts are the most vital and critical because your body will react the same. It’s not rock science but I’d call it common sense. You demonstrate the way you feel and your facial expression will tell your story. So brilliant thoughts, inspirational thoughts, goodwill thoughts, and up-lifting thoughts. Just think of yourself as a lighting rod and anyone who contacts or touches you will share your good vibes. I found what helps me is writing things down or posting good stuff on the Face or any social media site. Sharing your feeling the MOJO has really help me. Not to pretend we live in Disneyland, but to understand how much we truly affect each other is key. If you’re having one of those days, reach out to someone and simply have a discussion about anything, you will find how much this will help clear your mind and then refocus on your task. I would say we had days when it just seemed impossible and walked away and then came back and everything fit like a glove, it’s the same thing, talking to anyone who has a positive outlook would be preferred. We all have many friends or relatives to reach out to. So don’t carry all the luggage by yourself people are there ready to help and assist in any way. I’m here if anyone would like to call or just have a conversation would be welcomed. Don’t worry about anything just do it. You will find that the recipient of the other line welcomes your call as well. I started this by simply explaining how meditation can help with anything, we simply just have to believe it. 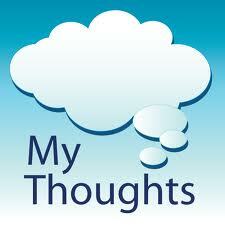 So lets all find what we are looking for, Health, Wellness, and defeating ALS are my thoughts. Together we all WIN, enjoy your time here and follow God promise for better days and happier times are coming. This entry was posted in Uncategorized and tagged amyotrophic lateral sclerosis, subconsciousness. Bookmark the permalink.